ABC Nanny Source - A Manhattan Household Manager for your whole family! Christina has been providing respectful and reliable care for children of all ages as a Manhattan Household Manager! "I am a very caring and patient person. When children are around me they seem to have a sense of calm because I am very warm and welcoming individual. I have experience with all ages in child care. I have been a Head Teacher in each center that I have worked at as a Toddler Teacher. I am creative and always encourage children to have manners and to be respectful to those around them. If I was asked to describe in one sentence the reason I have chosen to be in the Nanny profession over any other it would have to be because being a nanny is more personalized. I believe that if I am working with a child in their own comfort zone that the day is less stressful and it is more comfortable for the child. A Nanny can get to know the family and help them out with anything they need help with. I am very flexible and being flexible is perfect for being a Nanny. I have been serving in some form of childcare experience for over six years and can honestly say I get excited over what I do! I feel the children are like sponges! They absorb everything that you are teaching them! They need one on one attention. Children love to explore the world and so do I. I love how rewarding it is to teach a child something new! My goal as a Nanny is to look after children under my care and get to know their interests and their personalities and make up lessons and goals with the children. I will be flexible and available to my family no matter what. I am willing to do housekeeping at the family’s requests that includes laundry, cooking, dusting, vacuuming, and any other chores that would need to be done. If I had to describe myself in five adjectives I would say that I am kind, out-going, friendly, kind-hearted, understanding, and reliable. Activities that I would like to incorporate in the daily plan for the family I care for would include painting, dancing, singing, reading books, and doing crafts for the season or start to do specific themes with the children, going by age appropriate activities. If asked to describe the perfect family seeking a Nanny like me I would hope they would be a family that is open to ideas. I want to build a relationship with the family and them work with me as a team and as a member of the family." "Christina was able to fulfill the job requirements and much more. She very flexible and took great care of my daughter! I work as a flight attendant, and so I needed a nanny who was very caring and dedicated to what I need her to do while I am gone. She had done all the duties that were asked of her and more. Every time I picked up my daughter from her I could see the fun they had and I could see that my daughter really liked her! She treated my daughter as if she was her own family. I would recommend her to any family! I am lucky to have had her as my Manhattan Household Manager! I am sure they will love her too." "Christina and I have been really good friends since we were in junior high. She always had a love for children and we both knew one day her career would be based around children. She is a very loyal friend and would do anything she could to help you out. She is full of life and gets along with everybody!" 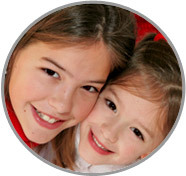 "Christina is a very happy and well organized young women who enjoys children as they enjoy their time with her. Christina has always been reliable, qualified, and trustworthy. I know that she can take over and handle anything you ask her to do. She creates a structured and fun environment and the children absolutely love her. I highly recommend her for a Manhattan Household Manager position." "Christina has been my best friend since 8th grade. Since I have known her she has always worked in the child care field. She has worked as a babysitter, nanny, day care provider, and a teacher in several learning centers such as the Goddard school. She has earned an associate’s degree in Early Childhood Education. She is a phenomenal child care provider. She is extremely responsible and nurturing. Interacting with children comes very natural to her. She strives to create lesson plans that allow her students to explore the world around them and learn from hands on experiences. She is enthusiastic and positive. I have no reservations in recommending her as I know that she is an exceptional child care provider and any family would be lucky to have her!"